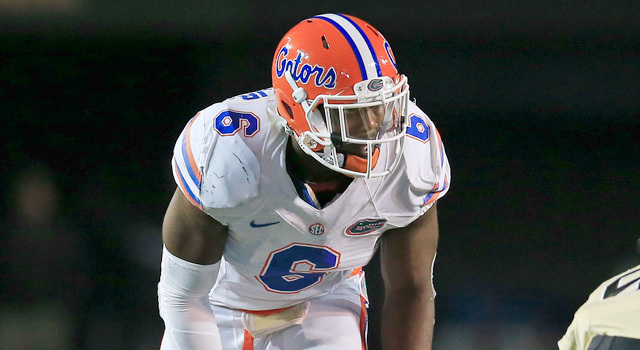 Player Page- Dante Fowler Jr. I have Dante Fowler as the top edge rusher in a draft filled with talented pass rushers. Fowler shows something special with his ability to bend around the corner at his size. This Florida Gator plays with a high motor and is extremely quick. Dante Fowler is also strong in the run game as well as he shows good strength at the point of attack. At Florida he showed the ability to drop back into coverage. With Fowler you get not only an excellent pass rusher, but also a guy who won’t be a liability in the run game. He is scheme diverse also as a 4-3 DE or a 3-4 OLB. With teams always seeking for talented pass rushers, look for Fowler to go early in the draft.